1 Years supply using 1 bag per day. 19 rolls / 20 bags per roll / 380 bags. Just 9 cent a bag. 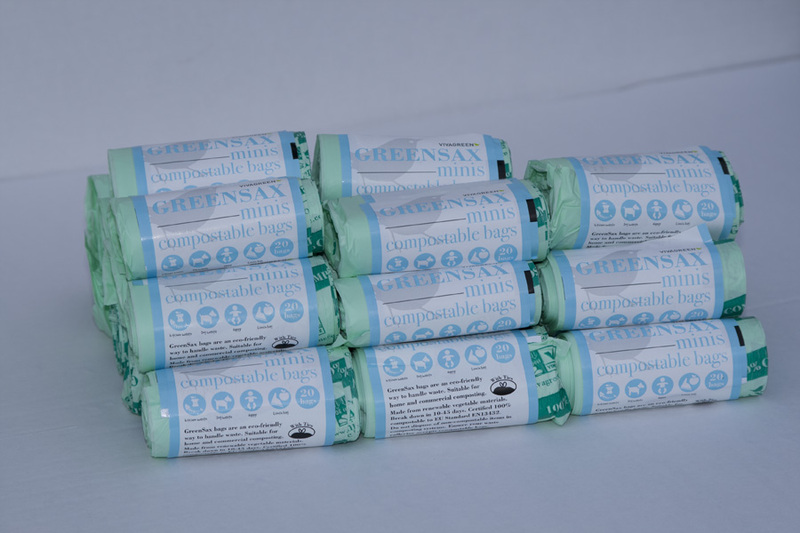 5 Litre Compostable kitchen sink top bag from Greensax. 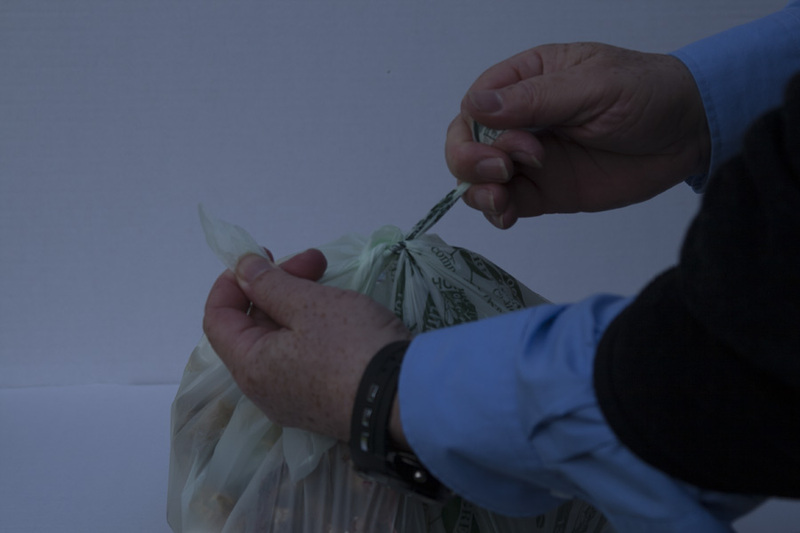 Bags detach easily from the roll due to clever perforations, are waterproof and have unique ties on top to seal the bag closed. Manufacturer classifies these as 5 Litre, they would fit inside a plastic butter spread container in actual volume. 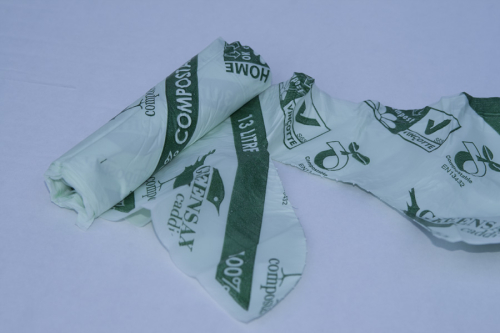 100% Compostable Natural Waterproof Material. 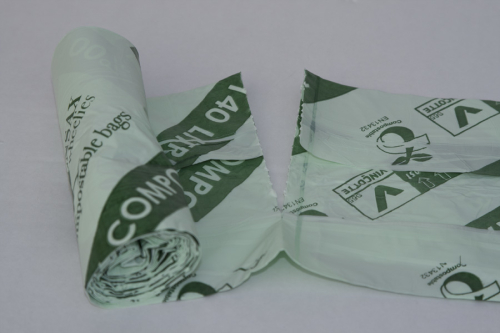 Bags easily detached without tearing. Typically .35 to .50 cent lower per roll than retail outlets. This Irish brand leader is much favoured by Irish households but is premium priced in supermarkets. 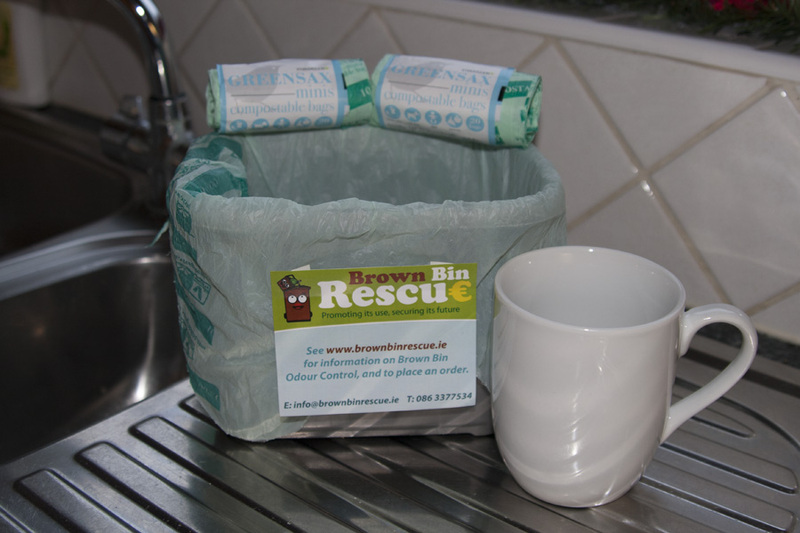 However buying in bulk at Brown Bin Rescue and with ‘FREE Delivery’ they cost you much less. 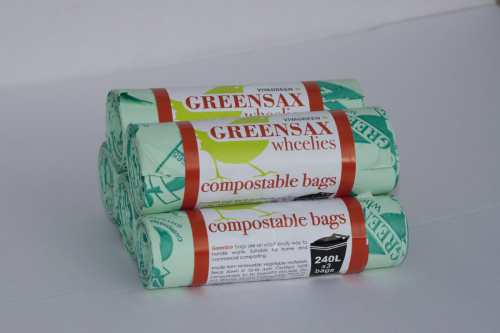 Made with plant starch a renewable resource, kitchen sink top bags break down quickly to nourish the soil when home composted, or in an industrial unit. 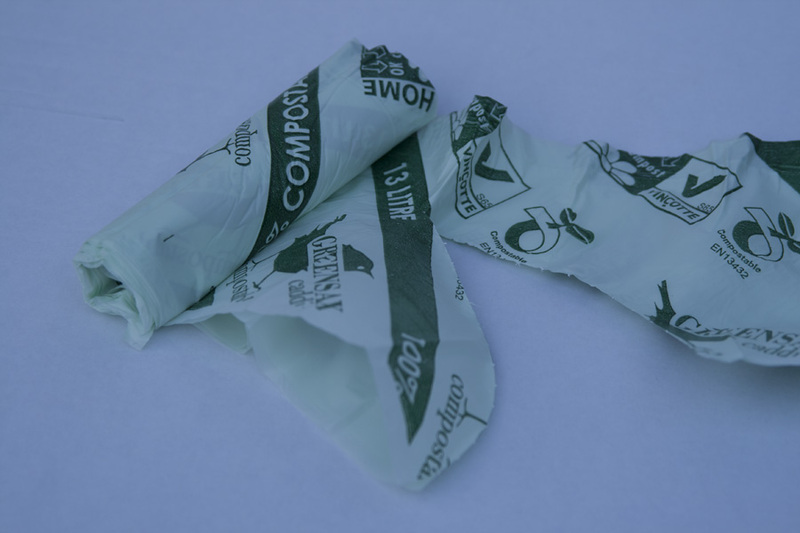 The Compostable bag keeps a food waste Sink Top unit clean. 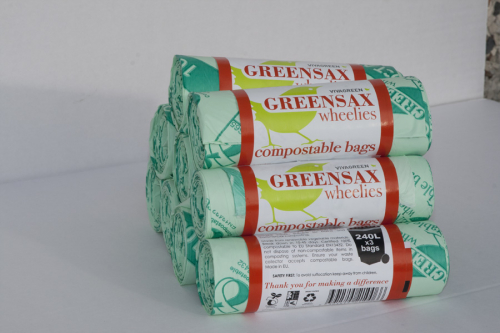 Ideal for those that generate very little food waste and need it disposed of on a daily basis. Note! These bags DO NOT FIT the 13 ltr AERATED CADDY. 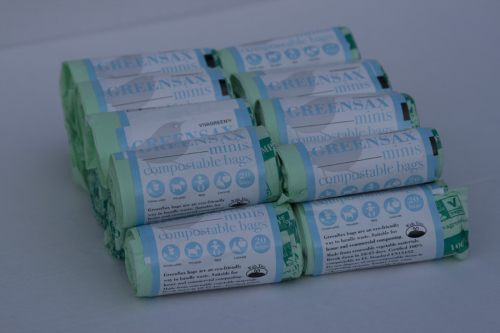 Compostable bags are branded with ‘Greensax Logo’ easily identifiable as Compostable and not plastic or low quality import. Collection can be rejected if not clear what the bag is made from. BBR Note! 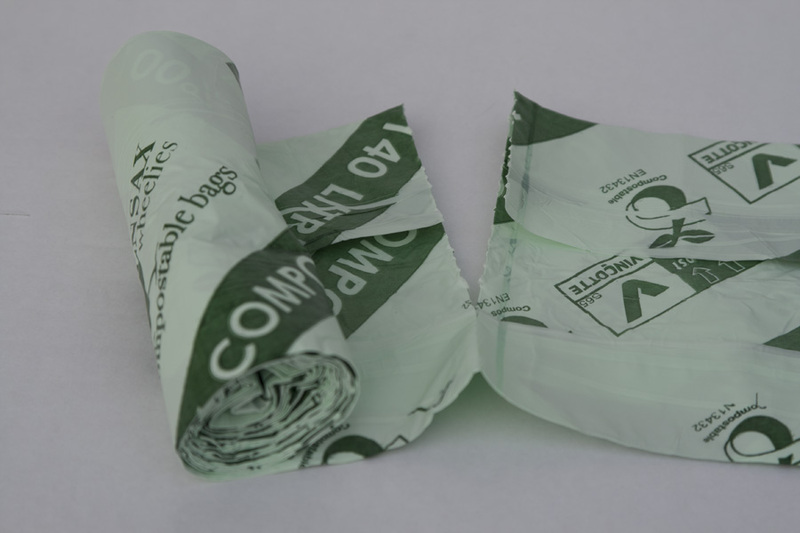 Low cost bags in supermarkets often only have ‘Welded’ joints which can cause the bags to rip when being dethatched from the roll.